Here in Columbus, Ohio, the slider capital of the world, vegetarians and curious carnivores are flocking to White Castle to get their tastebuds on the chain’s first veggie slider. In testing since July, this slider is a long-awaited vegetarian option in the fast food market. White Castle is selling the vegan patties in many of their nationwide restaurants for 99 cents each, for a limited time. At these chain restaurants across the country, the sliders are now available for purchase with a variety of sauces: Sweet Thai, Honey Mustard, and Avocado Ranch. White Castle sources their veggie slider patties from Dr. Praeger’s Sensible Foods; a New Jersey-based frozen food company. The White Castle slider is essentially a miniature version of the California veggie burger, which contains visible chunks of carrots, edamame, and corn. Although Dr. Praeger’s patties are not certified as gluten-free, they do not contain wheat as an ingredient and are instead bound together with oat bran and soy flour. The patties are vegan, as is the Sweet Thai sauce. The Honey Mustard and Avocado Ranch sauces contain honey and dairy, respectively, so they are merely vegetarian. It’s arguably still junk food, however, as they range from 150-270 calories apiece, depending on the sauce. Each White Castle store is under strict orders to prepare the veggie sliders on a dedicated meat-free griddle, and employees even have a designated green-handled spatula to use in a further attempt to avoid meaty cross-contamination. 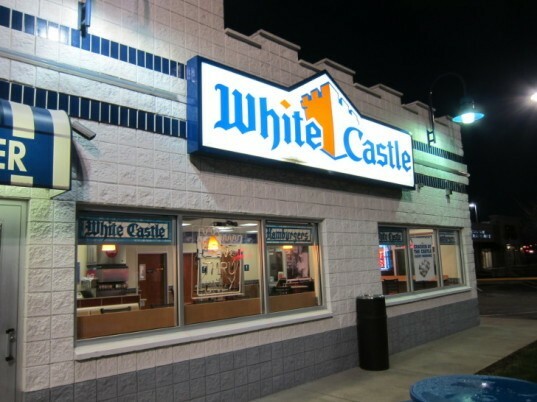 White Castle is probably the first fast food chain to also become a popular wedding spot, but it’s not actually the first to offer a vegan burger, but hopefully, the Castle will decide to keep them on the menu for good. Burger King originally introduced their vegan burger in 2002, but they traded them in for a dairy-containing patty from Morningstar Farms only two years later. Despite the efforts White Castle has taken to keep their veggie sliders sacred, they’ve fallen short in one important area: the bun. Currently, the bun sold with the veggie sliders is technically not even vegetarian, as it contains l-cysteine which is derived from duck feathers. Hopefully, vegetarians and vegans within driving distance of a White Castle restaurant will make their voices heard, and be rewarded with a fluffy new vegan bun to accompany their fast food indulgences. Images via Wikimedia Creative Commons and White Castle. Yes, if you call the 800 number from their website they will confirm the L-cysteine in the bun is made from chicken and duck feathers. It's not vegetarian. Did anyone check with White Castle on the source of their bun's L-cysteine? Around 2000, Aijiomoto, the world's largest producer of L-cysteine and other amino acids switched to an entirely microbial process. So it really depends on their source of it. L-cysteine is a dough conditoner. 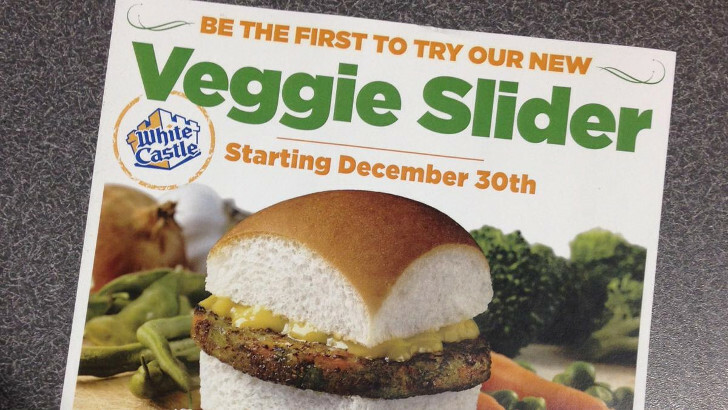 White Castle now has veggie sliders! The chain restaurant's vegan slider burgers have different sauces, and are now available across the country.